In a matter of minutes, one station was calling for a huge stock market correction, while another not only dismissed it – but said a correction was impossible next year. 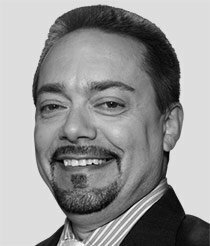 Clearly, these talking heads don't actually know if – or when – the markets will turn. …before the rest of the crowd. 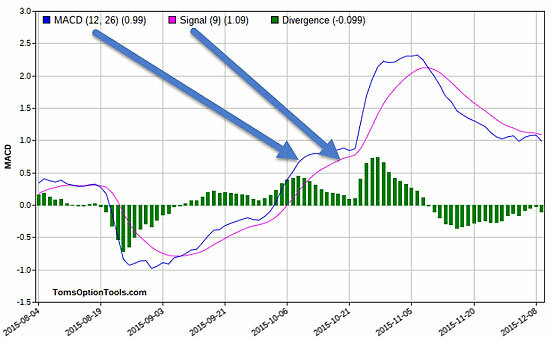 The "Moving Average Convergence Divergence," or MACD (pronounced Mac-D), is a popular momentum indicator that traders use to measure strength and duration of a trend. Many refer to it as the trend-following momentum indicator, but it can also be used to signal a possible end to a trend and a reversal in the underlying price. Those signals are where you can use this indicator to your advantage to get in and out of your trades ahead of the trend. But before I show you, let me give you a brief explanation of how the MACD is formed and how it can show the strength or lack of strength of a trend. The MACD has two lines plotted on the chart. The first line is the "MACD line." It's formed by subtracting the 26-period Exponential Moving Average (EMA) from the 12-period EMA. The second line is called the "Signal line." That line is the nine-period EMA of that MACD line. 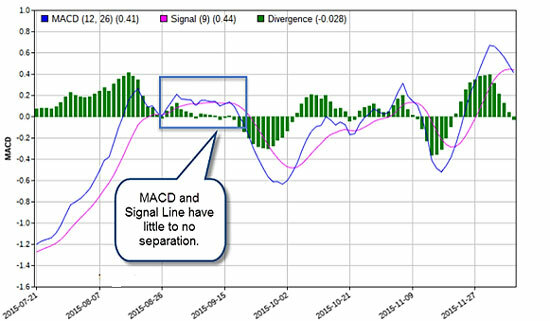 Basically, the signal line is the moving average of the difference of the two moving averages plotted in the MACD line. The 12-, 26-, and nine-period numbers are the typical default of software programs when plotting the MACD. It can be shortened or lengthened to your liking, but this is the standard across the board. The blue line represents the MACD line, and the magenta line is the signal line. The distance between the two lines indicates the strength or weakness of the trend.When the stock is in an uptrend, the MACD line should be over the signal line, and when the stock goes up too high too fast, you will see the widest separation between the two. That indicates strength in the uptrend. In a downtrend, the MACD line should be below the signal line, and the farther and faster the stock declines, the wider the separation between the two. 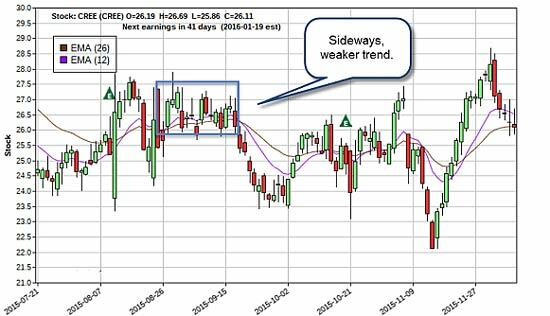 That shows strength in the downtrend.When the stock is in a sideways trend, the MACD line and the signal line are flat and usually pretty close to each other. That's an indication that the trend of the stock is weak. Crossing over the "Zero Line"